Many think that the Bible is too hard to understand, and as a result hesitate to communicate the message of the Bible to others. Sometimes people panic when they are asked by others what a certain passage of Scripture means. Can the Bible be understood? Can you communicate it to other people so that they can understanding the meaning of Scripture? A firm conviction of the Reformers of the sixteenth century held to was the clarity of Scripture (also known as the perspicuity of Scripture). By this, they recognized, that though portions of Scripture are difficult to understand (2 Peter 3:16), its main message is clear and can be understood by both educated and uneducated, old and young, by making use of “ordinary means”. We can understand the message of the Bible and we can communicate it to others. But if we are going to do this, it is necessary that we learn the skills of clear communication. God gifts some Christian men to be pastors and teachers of God’s Word (Eph. 4:11; 1 Timothy 3:2; 5:17). This function of teaching is carried out in an official office of the pastoral ministry. It is serious and they will receive a stricter judgment from God (James 3:1). Other Christians will also teach in other capacities. For example, parents are commanded to teach their children (Deut. 6:7) and older women are to teach younger women (Titus 2:3). It is in this second sense that all Christians are to teach God’s Word, but not all will teach it in the ministerial sense. So then, since we all have a roll in teaching in one way or another, how do we do it? In this introduction, we will consider the purpose, procedure, and preparation for the clear communication of the Bible. Do I need to know how to communicate the Bible clearly? Yes, you do! Let me explain. God – the Creator and Sovereign of the universe – is not silent. He has spoken and therefore what He has said is of utmost importance. His words are to be treasured because they alone are food for our soul and light for our path. God continues to speak to us today by means of the Holy Scriptures. It is by means of reading and studying them (with the Holy Spirit’s help) that we can know and learn about God. Every genuine believer in the Lord Jesus Christ ought to desire to learn about Him and in turn obey Him. Jesus said to His disciples, “If you love Me, you will keep My commandments” (John 14:15). These commandments He spoke of are contained in the Scriptures, therefore we must read and know the Scriptures in order to obey what he has commanded. We are to study the Bible so that we can submit to the Bible, and in turn, share the Bible. It ought to be our desire for others to know the way of salvation and for other believers to be comforted by God’s Word. How will they know unless it is communicated to them with clarity? My goal for this series is to help God’s people communicate Scripture clearly. How can this be done? There are three keys areas that we will consider, and they are precision, plainness, and passion (these will be considered with greater details and application in following studies). In his second letter to Timothy, Paul called for Timothy to handle the Scriptures with precision. He wrote, “Do your best to present yourself to God as one approved, a worker who has no need to be ashamed, rightly handling the word of truth” (2 Timothy 2:15). The idea behind this command is that Timothy is to make a diligent effort in making sure that he presents himself to God as one who pleasing to God. Timothy was to do this by being “a worker who has no need to be ashamed, rightly handling the word of truth”. The words “rightly handling” literally means, “to cut straight.” It was a word used to refer to describe the action of cutting wood, stone, and leather. Some have suggested that since Paul was a tent maker, he had to cut the materials straight. The point is that the approved workman handles the word of truth with precision. It is the duty of the believer, and especially the preacher of God’s word, to handle the word of truth with precision. This will come as a result of one who carefully studies the Scriptures and applies specific principles in interpreting God’s word. This is called exegesis (from a Greek term meaning “to lead out”). Exegesis is the practice of carefully studying the Bible and drawing a conclusion that comes from the passage you are studying. The preacher is to be a diligent workman. This process will involve hard work and time! If we are going to be precise, we need to be diligent. On another occasion, Paul asked the Colossian believers to pray that God grant him an open door of opportunity to declare the Word of God. He went on to state the manner in which he will do this, “that I may make it clear, which is how I ought to speak” (Colossians 4:4). He desired to have the opportunity for the gospel to go out, and in going out that he would speak with clarity. Our goal is not to be confusing but to be clear. Spurgeon stated in a sermon, “Some Brothers put the food up so high that the poor sheep cannot possibly feed upon it. I have thought, as I have listened to our eloquent friends, that they imagined that our Lord had said, ‘Feed my giraffes.’” The goal of the plainness of speech is to provide clarity of meaning. Plainness does not eliminate profundity, but it does eliminate perplexity. What is prayer? Prayer is a means that God has created in which we can commune Him. In the context of Bible study and Bible communication, it is essential that we seek His help because apart from Him we can do nothing (cf. John 15:5). Furthermore, the Bible is His Word so we must His help. 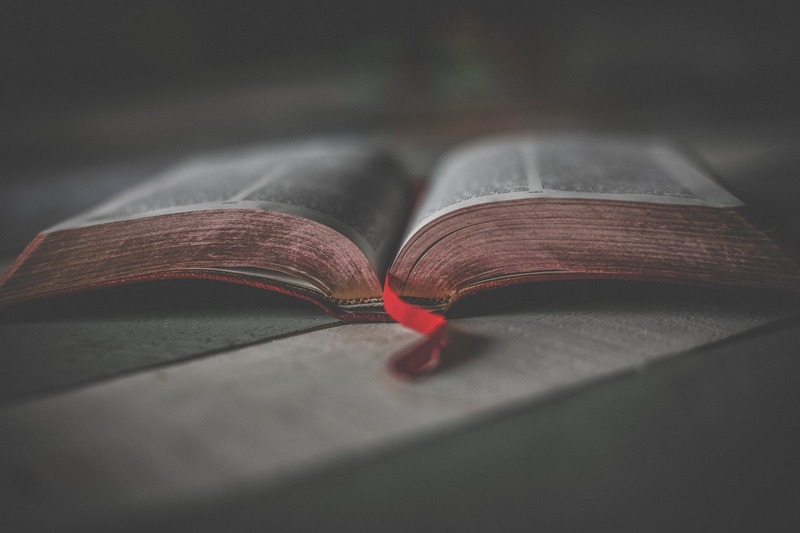 What should we pray for when it comes to Bible study and Bible communication? In a psalm that deals with the revelation of God (both general and special), David prays, “Let the words of my mouth and the meditation of my heart be acceptable in your sight, O Lord, my rock and my redeemer” (Psalm 19:14). This is an amazing prayer of preparation. Such prayer will include confession of sin. Before we can effectively understand and share with others what God has said, we to desire the Word of God to expose to us our sin. If a water vessel is polluted, then as the clean water it contains is shared with others it will contaminate. Another important text that helps shape our prayer of preparation is from Psalm 119. The psalmist prayed, “Open my eyes, that I may behold wondrous things out of your law” (Psalm 119:18). This is a request that God would grant us spiritual insight into His Word. Prayer is the essential means of effective Bible study and Bible communication. In the next three sections, we will unpack and practically consider the procedure of precision, plainness, and passion in Biblical communication. The Westminster Confession of Faith (1647) and London Baptist Confession of Faith (1689) provides a clear and helpful statement on the Clarity of Scripture: “All things in Scripture are not alike plain in themselves, nor alike clear unto all: yet those things which are necessary to be known, believed, and observed for salvation, are so clearly propounded and opened in some place of Scripture or other, that not only the learned, but the unlearned, in a due use of the ordinary means, may attain unto a sufficient understanding of them” (1:7). E.M. Bounds, Power Through Prayer.